Alex is a Cuban-American science fiction writer. His work often explores themes of migration, colonization and posthumanism, while blending the subgenres of space opera and biopunk. He lives in South Florida with his wife, two daughters, and an overly-affectionate cat. Matthew is an Assistant Professor of English at the University of Puerto Rico in Cayey. His research is centered on the experience of migration, and how Latinx writers are using science fiction to explore migration. His life goal is to make the best Puerto Rican root beer. Sarah is the founder of Barrio Writers, LibroMobile, and Crear Studio. She is editor of two anthologies: Barrio Writers and Pariahs. 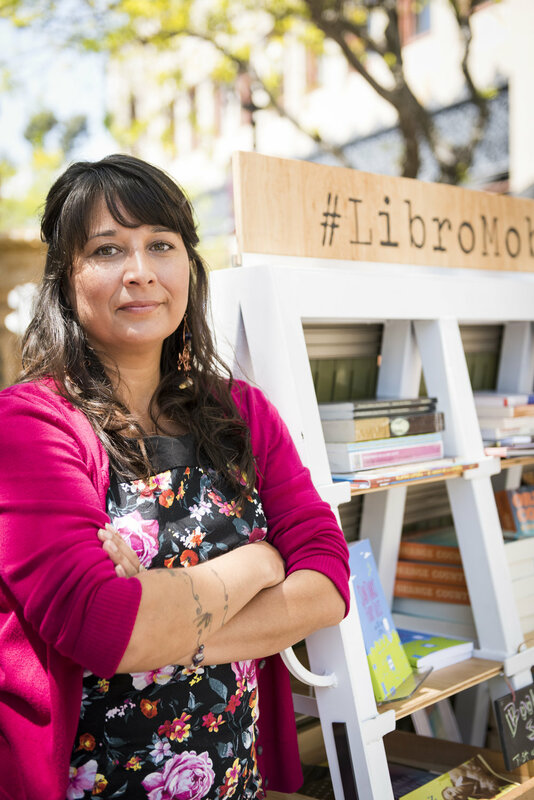 She spends her days writing, giving workshops, and stacking books at LibroMobile (her mobile bookstore) in Santa Ana, California.